I have owned My Cousin Rachel for almost five years now, and I cannot imagine why I took so long to read it. Rebecca, du Maurier's masterpiece, is one of my favorite books of all time, and it's the August selection for my classic book group that meets this weekend. I practically know it by heart, so I grabbed My Cousin Rachel off the shelf this weekend to help get myself in the gothic mood. 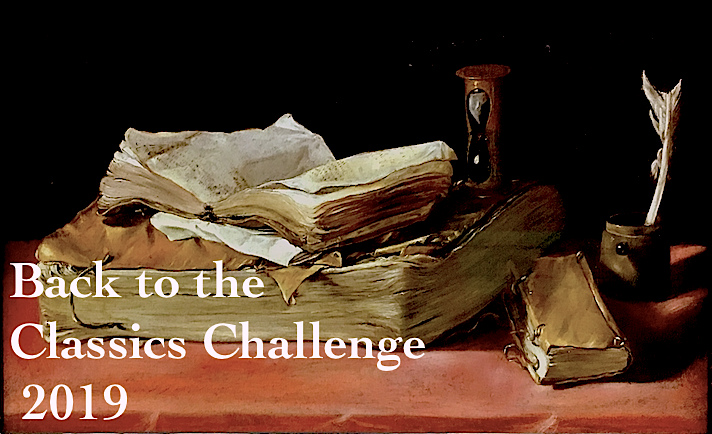 I was a little worried that it wouldn't measure up to Rebecca -- honestly, I don't think many books could! Also, I was really disappointed by Jamaica Inn, one of her more famous novels. However, I'm pleased to report that My Cousin Rachel was quite a page turner and I couldn't wait to find out how it all turned out. Here's the setup, in a nutshell: young Philip Ashley is an orphan, raised by his bachelor cousin Ambrose, who is twenty years his senior. Philip is the heir apparent to Ambrose's considerable family fortune, and is as close to him as if Ambrose had been his father. When Philip is in his early twenties, Ambrose is forced by health issues to winter in Italy, where he meets a distant cousin, Rachel. Though Ambrose had never been much interested in women, he and Rachel hit it off over a mutual love of gardening. What follows changes the lives of both Ambrose and Philip forever. Like Rebecca, this book is set on a large estate in Cornwall, and is a blend of mystery and romance. However, this is actually a historical novel, like Jamaica Inn, though it took me awhile to realize it was set sometime in the early 1800s -- at first I thought it was set in the 20th century, like Rebecca, until Philip mentions his father died in the Napoleonic wars. There's also no mention of train travel, and communication between Philip and Ambrose takes forever while he's in Italy. I liked this novel -- the characters were well realized and I thought the pacing and tension were good. My only quibble was I found Philip to be incredibly naive. He's in his early twenties, and has led a rather sheltered life for a wealthy young man -- he knows absolutely nothing about women, and doesn't seem to have had any experience with them at all, which I find rather absurd -- he'd been to prep school and spent time at Oxford. Even if this was almost 200 years ago, I can't imagine that there weren't any women around! It's not as if he'd been raised on a desert island or locked in a tower, his schoolmates must have had sisters, or cousins -- not to mention all the village women. When they come into contact with Rachel, both of these two men are so stupidly infatuated with Rachel that I wanted to smack them both. Nevertheless, the mystery and gothic elements of the book are classic du Maurier. I don't want to give away too much for fear of spoilers, but even though it's not as good as the brilliant Rebecca -- and honestly, what novel could be? -- but it's well worth reading if you are a du Maurier fan. I still have The Scapegoat on the TBR shelves -- any other du Mauriers I should read? Besides Jamaica Inn and Rebecca, I've also read Don't Look Now and many of her other short stories. I love this book, and I just watched a movie adaptation with Olivia de Havilland and Richard Burton last night. What a coincidence! I didn't think this book was as good as Rebecca, but it was great on its own merit. You should definitely read Frenchman's Creek! 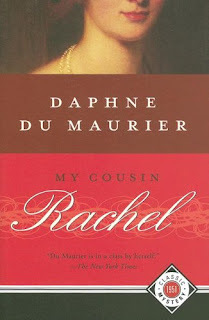 I read it and My Cousin Rachel fairly close together -- both great Du Maurier page-turners. The King's General is also pretty good - a historical tale. I would avoid The Loving Spirit, though. The mother-son relationship in it is just bizarre. I've got Jamaica Inn and Mary Anne sitting on my TBR shelf - I may wait on Jamaica a bit longer. I'm a big DDM fan, although there's still a lot of her work that I haven't read yet. I'm planning on rereading The Infernal World of Branwell Bronte and The House on the Strand (which I loved when I read it as a teenager) again this year. I also want to read Trilby, by George du Maurier, Daphne's grandfather. My Cousin Rachel isn't Rebecca, but I loved it nevertheless. Great review. Like you, I've owned this book for a good long while without reading it. In fact, I've not read anything of Du Maurier's besides Rebecca and "The Birds." I do have a volume of her stories heading to me soon, so maybe I should read this soon as well. I also recommend Frenchman's Creek -- though Rebecca, I believe, remains her jewel in the crown. I also have The Rebecca Notebook still to read (her sketches and notes while writing Rebecca) and recently read an interesting biography of du Maurier. Lots out there for fans of du Maurier. GirlsWannaRead -- where did you see the movie?? Netflix doesn't have it!!! Reviewsbylola -- I agree, I had to try not to compare it to Rebecca. I was very pleasantly surprised. Susan in TX -- I'm intrigued by Frenchman's Creek, and there is also a pretty recent BBC adaptation. JaneGS -- she wrote so many books! House on the Strand looks good too. I've also heard good things about The Glassblowers. Teresa -- a lot of her short stories are good. "Don't Look Now is very creepy" (also a creepy movie with Donald Sutherland). I've never seen "The Birds," but I read the story and found it very chilling. Jenny -- I plan on reading more of her works soon. House on the Strand sounds interesting, especially because it involves time travel. And another big country estate! Joanne -- Frenchman's Creek sounds really good, also Mary Anne which was based on du Maurier's great-great-grandmother. I have this book on my shelf to read. My mum's very battered old copy and cannot wait to read it. This one sounds tempting. I really enjoyed Rebecca. We read Jamaica Inn in my bookclub a few years ago (no, it isn't as good as Rebecca, but it has its moments), and I keep meaning to read Frenchman's Creek (I used to live not far from there, for a couple of years I lived in Falmouth) - will get round to it eventually. I love this one too. I've read it twice. Rebecca is still my favorite but like most of her novels this is wonderfully written and so atmospheric. I didnt like Jamaica Inn either. I've never read Du Maurier but I decided to take part in Savage Reads Discovering Daphne read a long. Your post made me more excited. How interesting that the time period of the novel wasn't immediately apparent! I've never read this one, but I do have a copy so I might give it a go during the Discovering Daphne event in October. I love this book too, possibly even more than Rebecca! Never could get on with Jamaica Inn or Frenchman's Creek. I just love the uncertainty of Rachel's character. Rebecca is my favourite by far but The King's General is good too. I also enjoyed The Flight of the Falcon and Frenchman's Creek of course. Rule Britannia is good but strange, especially for Americans I think! I'm already wondering what happens! I read Rebecca for the first time last year and it was one of the few classics that I thought lived up to the hype surrounding it. Must be an enjoyable read Rebecca by Daphne Du Maurier. loved the way you wrote it. I find your review very genuine and orignal, this book is going in by "to read" list. I absolutely love My cousin Rachel and I highly recommend The house on the Strand if you haven't already read that.